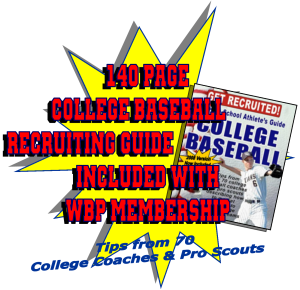 Written by College Bound Sports is included with the WBP High School to College Baseball Recruiting program! 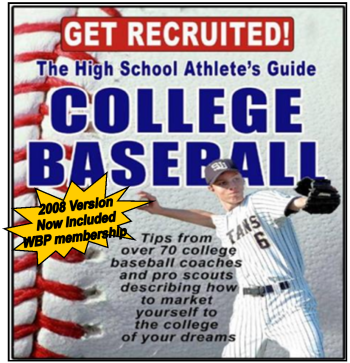 The High School Athlete's e Guide to College Baseball offers many different scenarios that you will stumble upon during the recruiting process and provides answers and many how to's, in easy to understand plain language. It alone has assisted thousands of families starting and/or repeating the college recruiting process. College Recruiting Program SIGN UP NOW!